Whiteways Cider factory was about 5 miles from my home in Devon and we used to scrump rather horrible apples from their orchards as kids….probably Langworthy, and Dunkerswell Late among many others. And as a teenager of course I drunk some pretty rough ciders from big round barrels! As there is a great buzz in Scotland surrounding cider making and cider apples this year I thought I’d post a few thoughts on the subject. 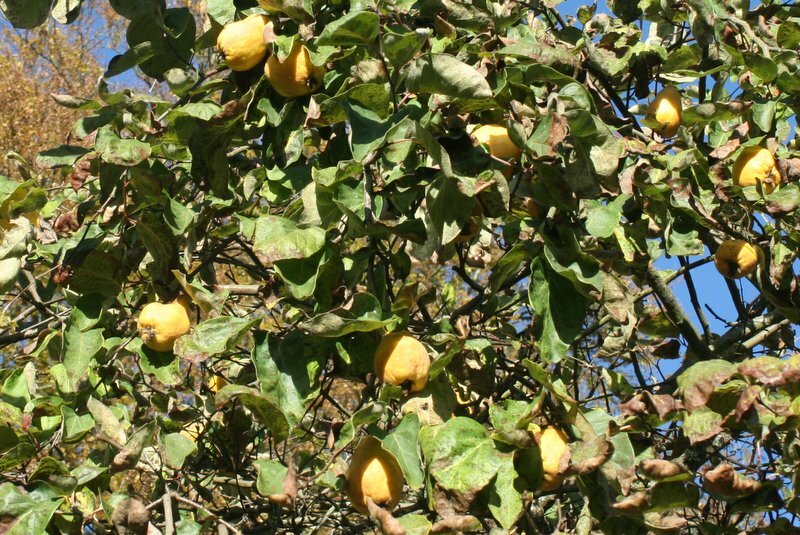 We have in the past grown Morgan’s Sweet, Tom Putt and Fair Maid of Taunton….and I have really enjoyed browsing through Liz Copas’s ”A Somerset Pomona” over the Xmas break. In this book there are some varieties reminiscent of my childhood climbing and scrumping trees! Cider apples come in different categories according to their taste….so don’t worry about what they look like in the books as it is the cider making qualities that are important here. In a nutshell they are categorised as Sharp, Bittersharp, Bittersweet and Sweet, and may be early mid or late ripening. At our cider sessions last year it was possible to catch these elements in different Scottish apples; getting a mix of these flavours is how to make a good cider. Going for say a sweet and bittersharp mix would be good. Or you could make different single variety ciders and then blend before drinking. A bittersweet and sharp mix would in my mind do the same. 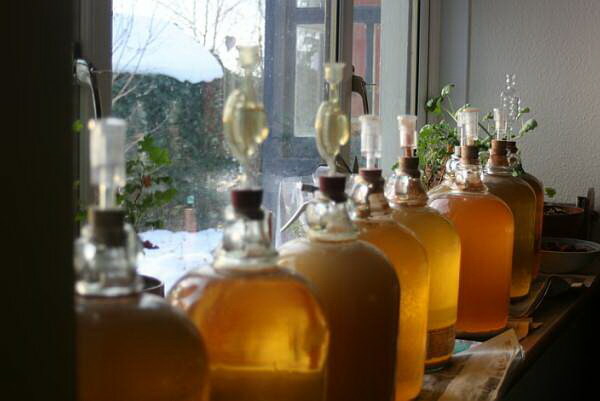 The tannin content (the browning) of an apple is useful and the specific gravity content of the juice is important to cider making, giving you the necessary ingredients for alcohol production! Of equal importance to us here are the productive qualities of cider varieties, as there is no point in planting a cider tree that just isn’t going to produce anything under Scottish conditions; many won’t even ripen properly, and are just too late for our climate. So, over the following year I will be propagating a small range of specially selected scab resistant, early, and precocious trees, ready for sale in winter 2015. 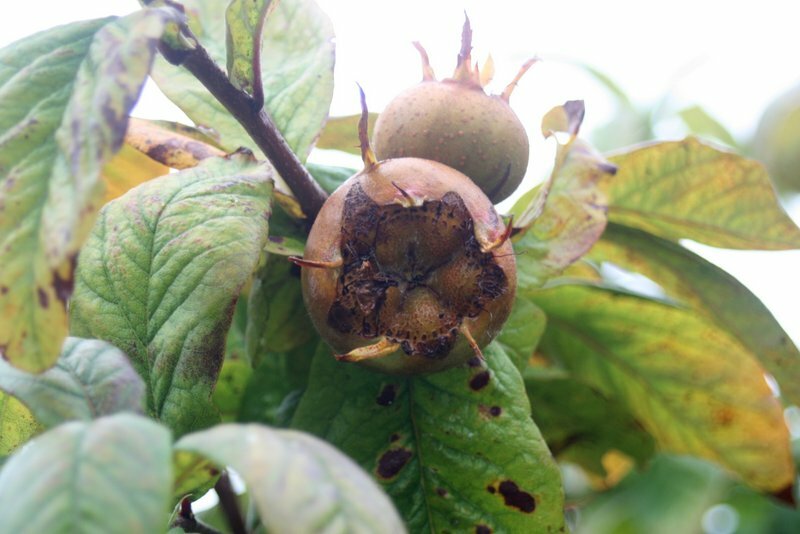 A small amount of scab is acceptable for juicing, but not so much that the trees and production suffer. There are a few examples of cider trees in Scotland that I know of, and most are large and relatively unproductive. Growing central leader trees on a semi-vigorous stock is probably the way forward for us. Don’t be fooled by the unpruned large Herefordshire trees as a system, it would not suit us all here, unless you have a large acreage to play with. Our likely mix of sharps and bittersweets, sweets and bittersharps will be among the following: Langworthy, Porter’s perfection, Stoke Red, White Jersey, Brown’s and Slack Ma Girdle and others. 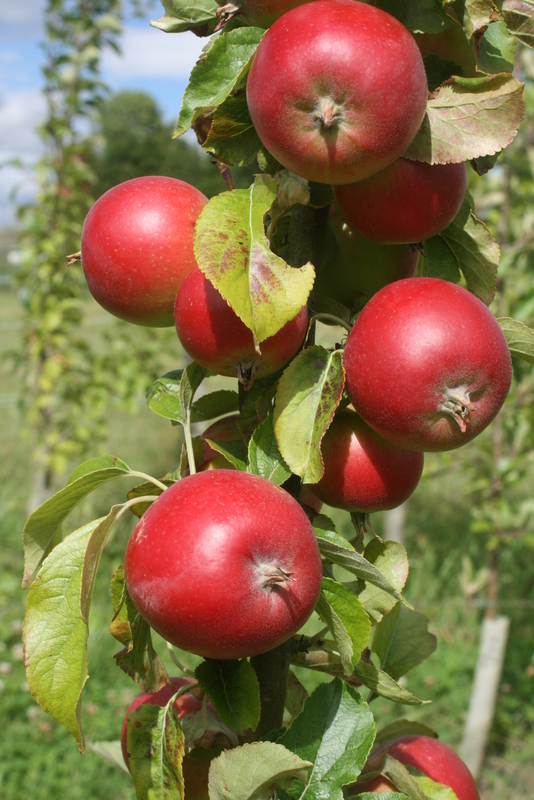 Traditionally cider apples are grown as very big trees and they are shaken free of all their fruit. OK if you can wait 5 years for a crop, but most of our customers want to be making juice sooner. So we will be grafting some mm106 semi-dwarfing trees as well as vigorous M25 trees for sale in a year’s time. Watch this space! And best wishes to all you apple tree growers for the new year…. and remember to Wassail your trees on January 17th! For the beer making fraternity the subject of hops and the merits of its various clones are of great importance. To gardeners, more bent towards ornamental plants, the growing practicalities of this climber under Scottish conditions are of more interest. What is it? Humulus lupulus is a climber related to cannabis, and has twining stems and tiny little hooks to enable it to grip onto to any upright object it can find. It’s surprising how tough these stems are in mid season, I’m sure John Seymour would have recommended basket weaving with them! It is a perennial, and would normally die back late in the year and send out new sprouts from a permanent root system every spring. It is a plant with purpose in several ways…the young emerging shoots can be eaten like asparagus. Professionally, four shoots are allowed to twine up from the clump of roots on 4 spaced coir strings to over 6 metres, creating a veritable vertical forest of growth by high summer. Well cultivated ground between rows of Hops. I have seen an organic hop farm in Kent, where the plants are grown on a little ‘hillock’ and carefully weeded by rotavator between all the plants. The height and width of a hop wiring structure is a truly impressive structure to see! I have also seen hop farms in Worcestershire, again on very good soil. Overall though, the acreage is a lot smaller in the UK than even decades ago. A good deep fertile soil is ideal, perhaps the Tay Valley is the place for a Scottish Crop? Wye college in Kent developed some dwarf varieties, so the risk of wind damage might be reduced. In late June, on the female plants, side shoots develop from the main stems and subsequently these produce the flowers which are so prized ornamentally. You don’t want male plants or you will get seeds which are undesirable! Later the flowers form the ‘hops’ and all the stems are cut down to be taken indoors for extraction. The oast houses of Kent were once the drying rooms for the hop industry. The hop damson aphid can be a big menace, and I’ve seen mildew on the leaves on our plant in wet summers. Apart from that we have few problems and every year our golden-leaved hop scrambles up against a sheltered shed wall and produces little hops for us. Propagation can be by division of the whole clump of roots, or fertile seeds can be purchased if you want to have a go of growing your own. To get a particular variety of course you would need cuttings or divisions, or layer a shoot across the ground and slightly bury it to encourage rooting. There are some lovely named clones such as White Knight, Fuggles, Goldings; the RHS Plantfinder lists about 14 different sorts (page 365 ). The golden leaved hop, Humulus lupulus ‘Aureus’. 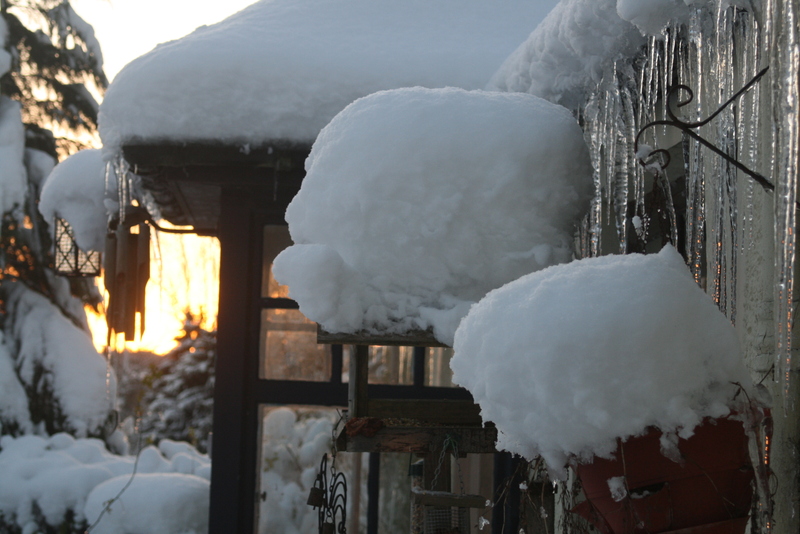 Seed grown plants can be supplied from plantswithpurpose, so what’s stopping you covering that horrible shed? Ref: The RHS Plant Finder 2004-5, pub. By Dorling Kindersley.